The Slit Table XL is a sleek coffee table made of metal with a graphic design that is reminiscent of the art of origami folding. Not only does the appearance allow this association, but also the production method that follows the same principle: the frame is carefully folded and shaped. The name “Slit” refers to the slim shape of the frame. The frame supports and complements the geometric and very graphic appearance of the round metal table. Whether it is used as a side table placed next to the sofa or as an alternative night table, alone or together with other Slit tables of various colours, the strong character of the table is a guaranteed eye-catcher in any environment. 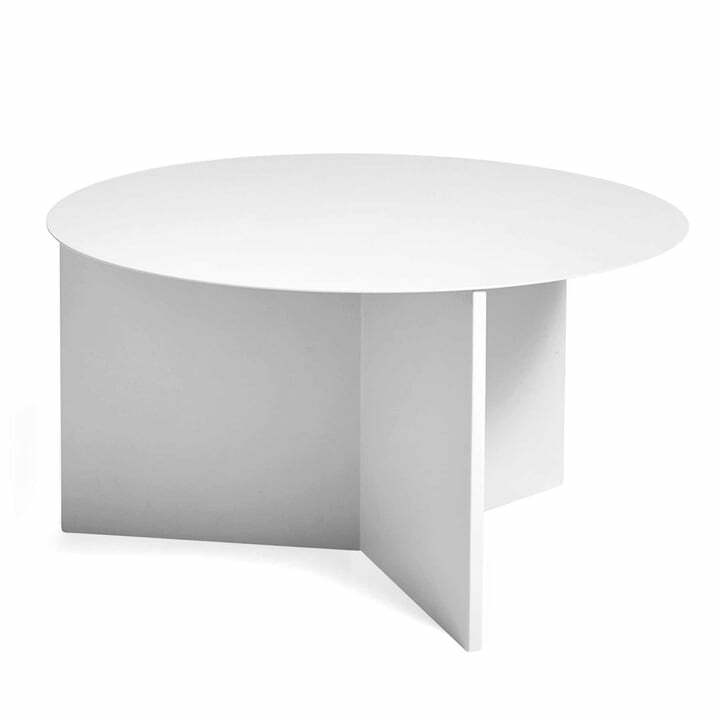 Isolated product image of the Slit table XL in white manufactured by Hay. 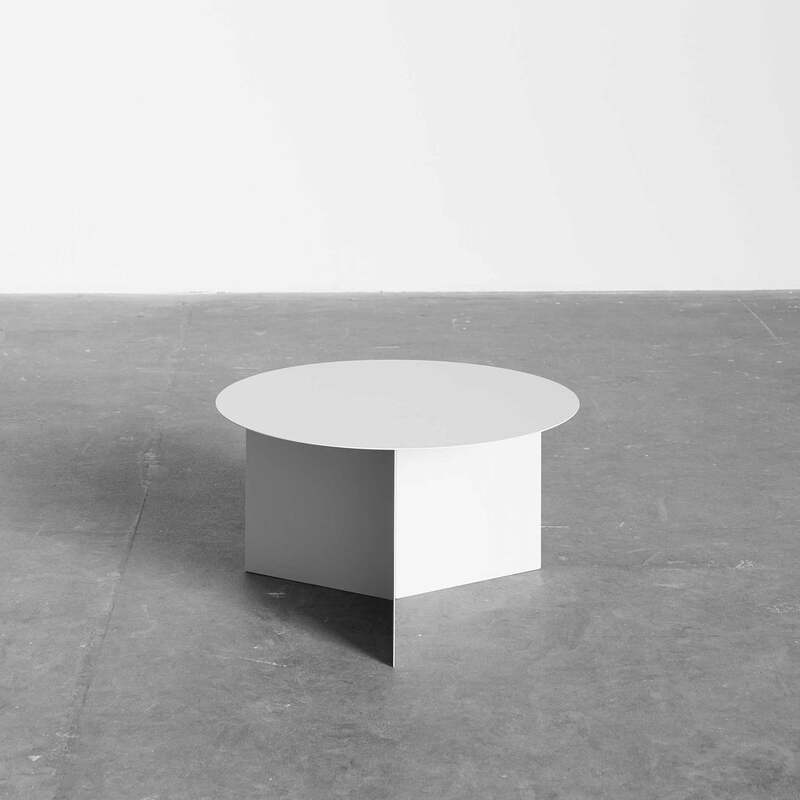 The simply designed table can be used as a stylish side table or nightstand alternative. Isolated product image of the Slit table XL in black by Hay. Just like with the art of origami, the structure of the Slit tables are also carefully folded and shaped. 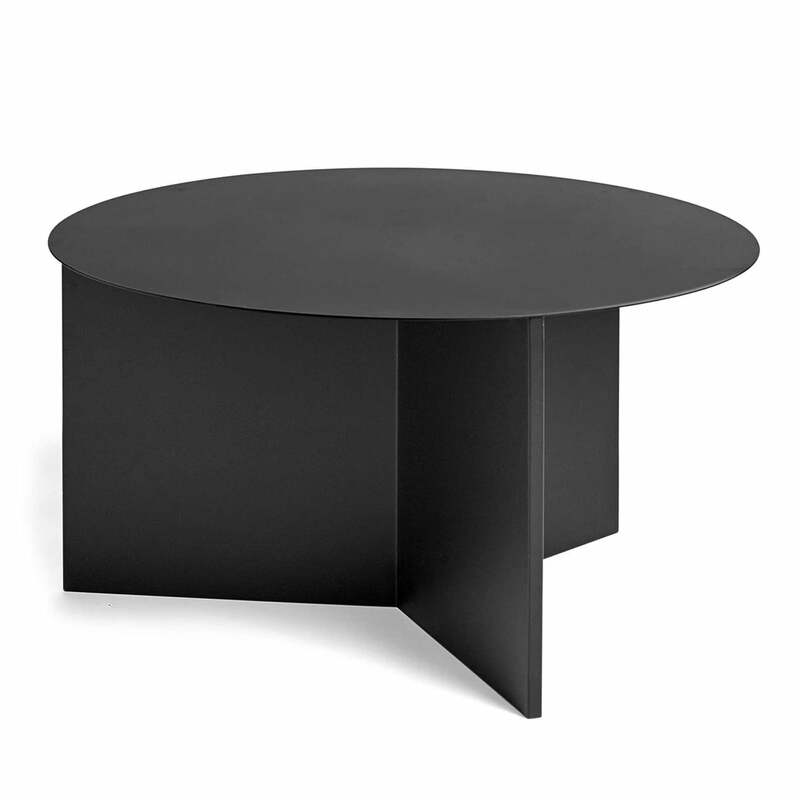 Isolated product image of the Slit table XL in black by Hay. The name “Slit” refers to the slim shape of the frame. The frame supports and complements the geometric and very graphic appearance of the round metal table. Group product image of the Slit Table XL arranged in a group. 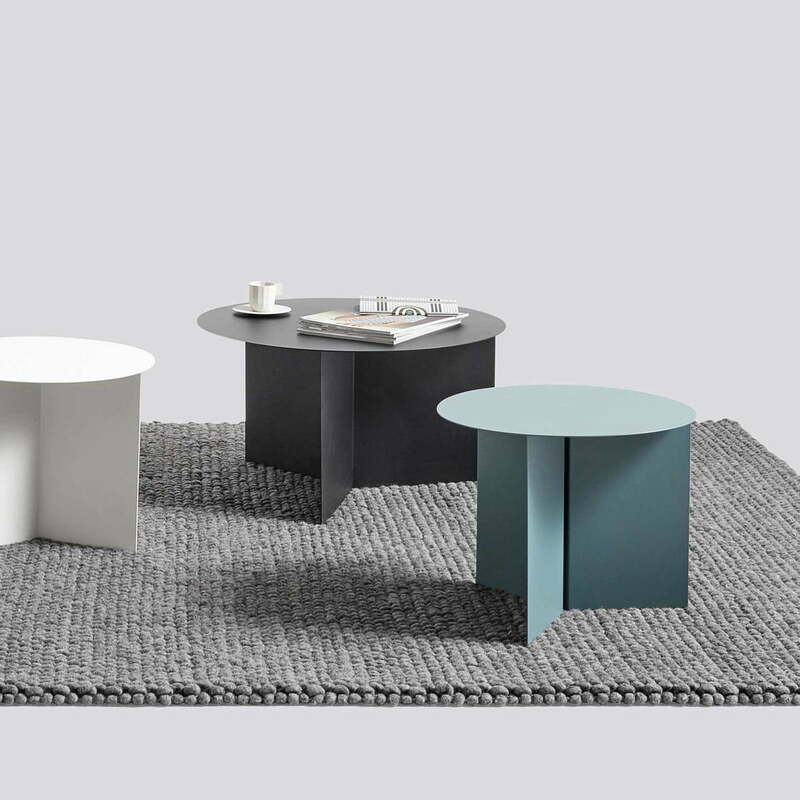 The Slit table is available in various sizes and colours that are wonderfully combined with one another. Lifestyle product image of the Slit Table XL. 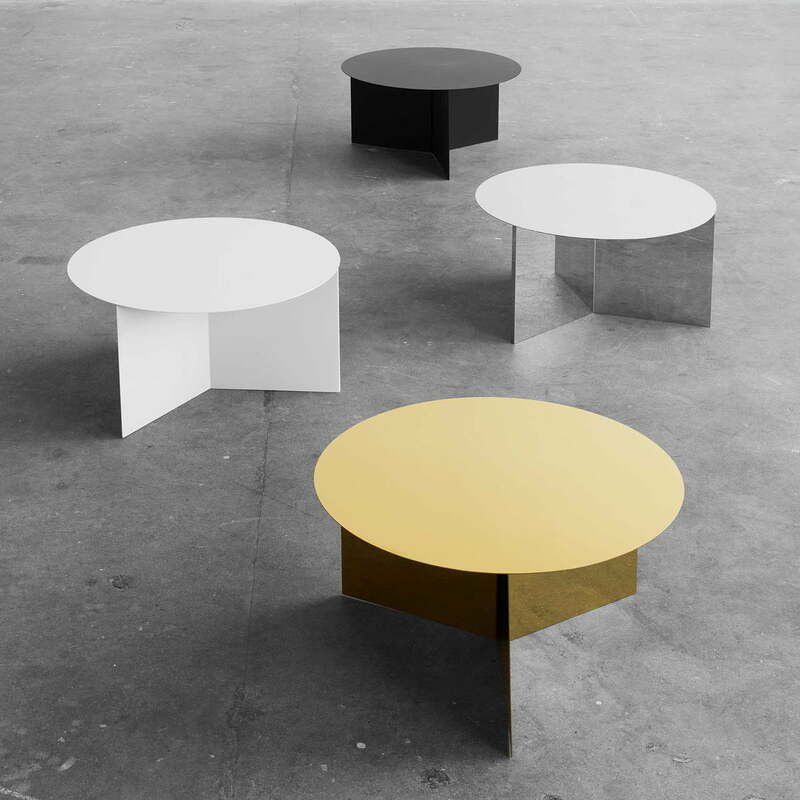 Whether alone or together with other table of various colours and sizes , the Slit table is a guaranteed eye-catcher.